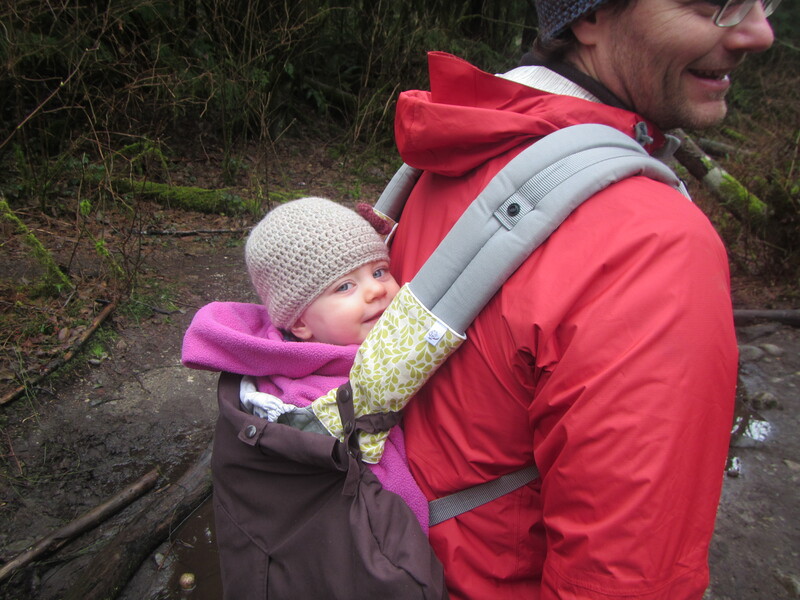 Now that my daughter is 1.5 years old we still carry her a lot but we use the back carry position. We’re still using our soft carrier (an Ergobaby) even though we also have the external-frame type because we find our daughter stays warmer and is more comfortable nestled right next to us. We would have liked to get into the mountains today but the weather didn’t cooperate so we did another valley walk up a river drainage. It was a very picturesque river and it was nice to see something new. 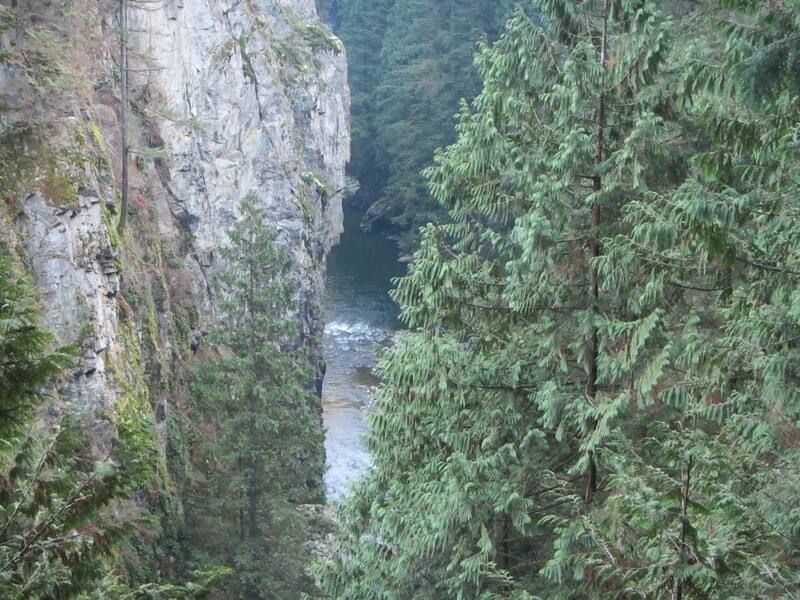 We walked the Capilano Pacific Trail … in November. 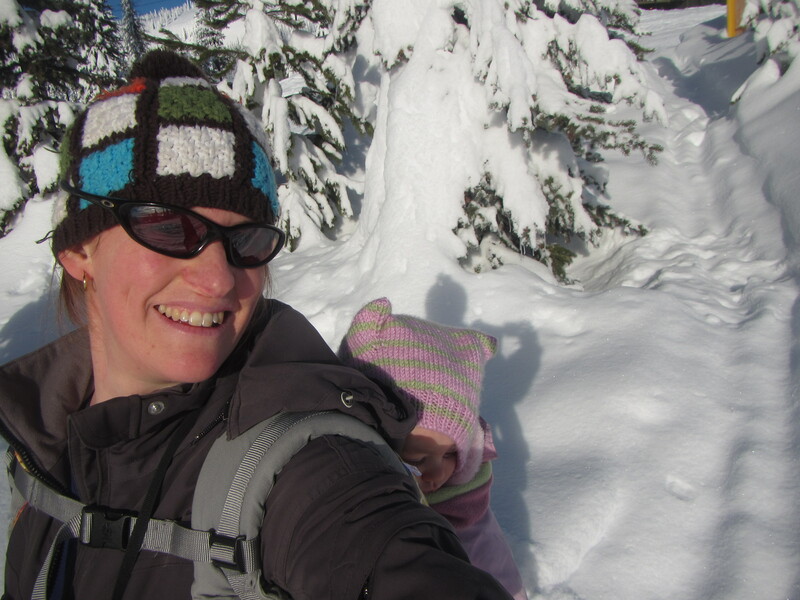 As a busy mom of a toddler I’m going to allow myself to post to the blog two months later. Looking back in my foggy brain, here’s what I remember of the walk.